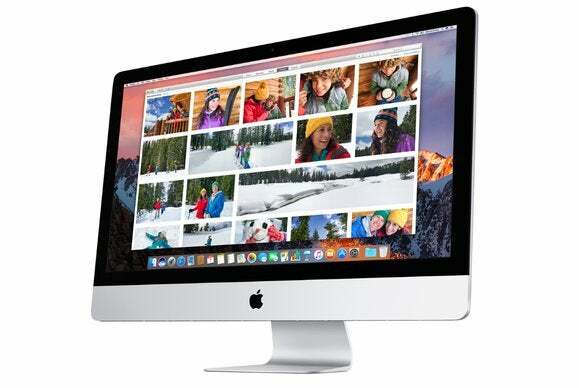 Apple today began automatically downloading macOS Sierra to Macs that have yet to upgrade to the new operating system, taking a step that rival Microsoft was criticized for last year. Although the upgrade to macOS 10.12 will automatically download to eligible Macs, it will not automatically install. Instead, users must authorize the upgrade after being notified that it has been retrieved and is ready to install. Users may also decline the upgrade at that same notification. This marks a change from past practice for the Mac's operating system, formerly dubbed "OS X" but now labeled "macOS." "On Mac [automatic downloading] has been available for all software except major releases until today [emphasis added]," an Apple spokeswoman said today via email. Previously, step updates -- those identified, for instance, as 10.11.4 -- were automatically downloaded to appropriate Macs. But what the Apple spokeswoman called "major releases," the now-annual upgrades, had not been automatically pushed to Macs. Jim Dalrymple, who blogs at The Loop, first reported on the download change earlier today. Computerworld confirmed Dalrymple's account with Apple. The auto-download of Sierra puts macOS on equal footing with other operating systems from the Cupertino, Calif. company. Both iOS and tvOS automatically download major upgrades to devices. An iPhone, for example, will eventually retrieve updates and upgrades without additional authorization, even if the user has repeatedly postponed downloads through the nag-like alerts. Sierra will auto-download to Macs running 10.11.5 or 10.11.6, the last two updates to OS X Yosemite, said Apple, assuming the systems' users have left the settings in the App Store section of Preferences unchanged from their defaults. Those out-of-the-box settings include enabling of automatic downloads; the pertinent line in the App Store's options reads "Download newly available updates in the background." Apple has taken steps to reduce possible criticism of the change: The Sierra upgrade -- which tips the scales at 4.8GB -- will not auto-download to a Mac short of storage space. And if the Mac's storage shrinks sufficiently before Sierra is installed but after the upgrade has downloaded, the file will be automatically deleted. Microsoft made a similar change to its decades-old upgrade and update practices last year with Windows 10. As the July 2015 launch approached, Microsoft automatically downloaded the Windows 10 upgrade to Windows 7 and Windows 8.1 machines whose owners had "reserved" a copy via an auto-installed app. Weeks later, Microsoft went even further, automatically downloading the Windows 10 upgrade to devices whose owners had not expressed any interest in the new OS. The change upset some users, who complained that the unsolicited downloads caused them to exceed their Internet providers' data caps or seized storage space without their consent. A support document that was revamped on Friday to account for Sierra's auto-download made mention of one way that Apple figured to pre-empt bandwidth-theft critics. "Large automatic downloads don't occur when your Mac is using a Personal Hotspot," the document stated, referring to the feature that lets a Mac access the Internet using an iPhone's cellular modem. Macs running Yosemite 10.11.5 and later, with the 'Download newly available updates in the background' item checked, will be served the Sierra upgrade as an automatic download.